Join as a Corporate Sponsor! Enrollment for the 2019-2020 AWL membership open on December 3rd. Reminder – AWL membership is two-years and the term is effective, January 1, 2019 – December 31, 2020. 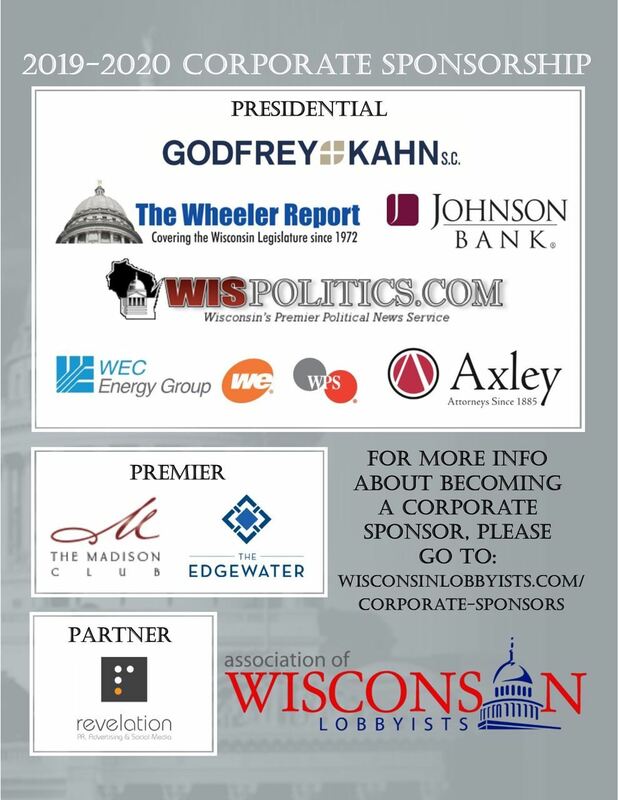 The Association of Wisconsin Lobbyists (AWL) is a voluntary association for government relations professionals in Wisconsin. The AWL was formed to protect and advance the rights of the governed and is committed to facilitating high professional standards by keeping members informed of regulatory law, administrative rules and other applicable policies. The mission of the AWL is to enhance the integrity of our profession and to promote understanding of the importance of advocacy in the democratic process. 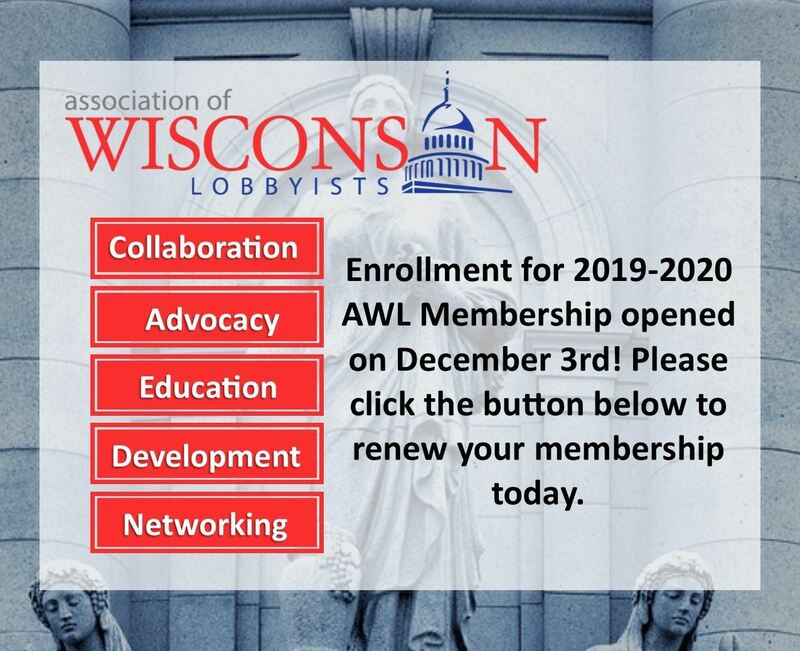 The AWL dedicates itself to providing members with information tailored to enhance their grasp of the Wisconsin political landscape and to maintain compliance with state laws governing lobbying activities. In addition, the Association presents members with opportunities for collegial discussion and forums for debate and exchange of opinion on public affairs. 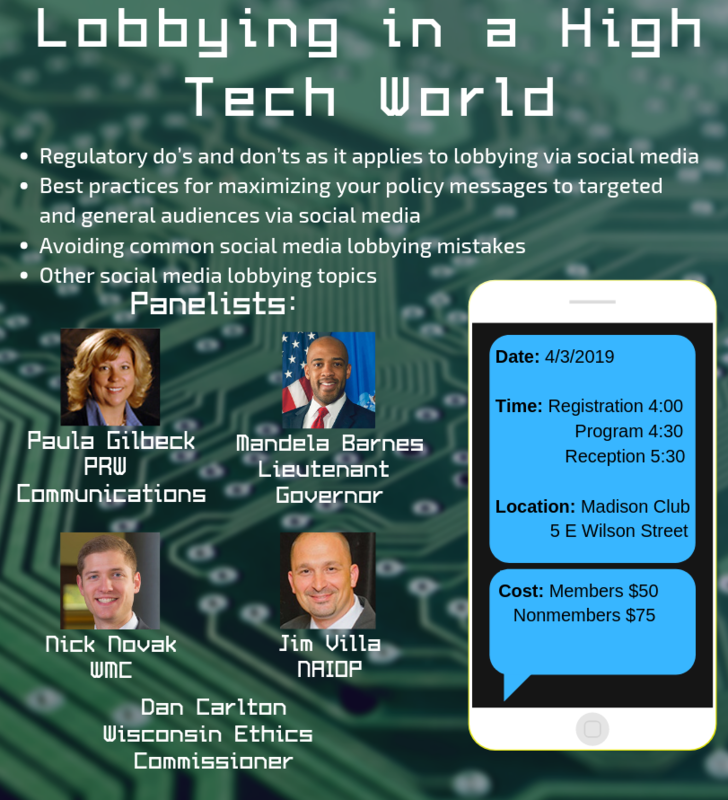 AWL focuses attention on the workings of the legislative and executive branches of Wisconsin state government and provides members with opportunities to participate in a dialogue with policy makers. The AWL places a strong emphasis on inclusiveness. We welcome all those who are registered with the Wisconsin State Ethics Board to our organization.